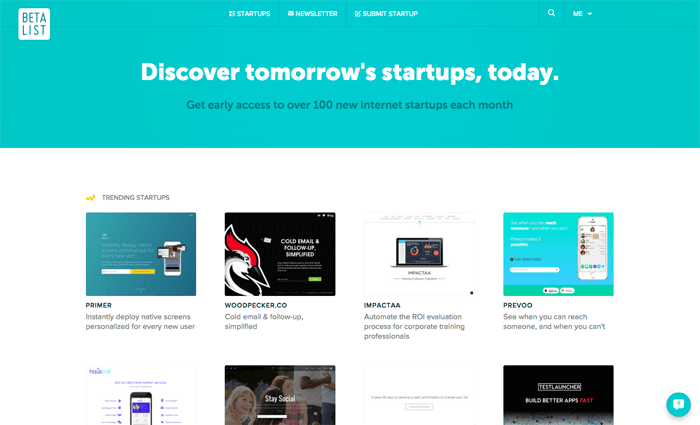 Description: If BetaList and Product Hunt had a baby, it would come out as launchready.io. 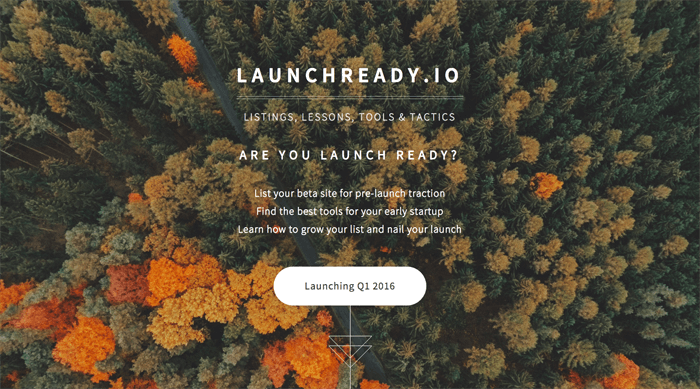 Going live in Q1 2016, launchready.io will have listings for yet-to-be-launched startups (paid but with no waiting to be listed), upvoting so that the best startup ideas can get the most attention, as well as guides, courses, and tutorials to ensure a successful launch. Description: BetaList is the place to list your Startup before you publically launch it, or before you even start building it. Submit for free and wait two months to be listed, or pull the trigger and spend $99 to get listed in a couple days. If your service is something that resonates with their (mostly Startup focused) audience, you can get a ton of people on your list very quickly. This is where we got all of our pre-launch traction for StartupResources, gathering about 500 people on a list in two weeks before we put the site live. Description: A founder friend of mine says Kickoff Labs is the best money he spends. 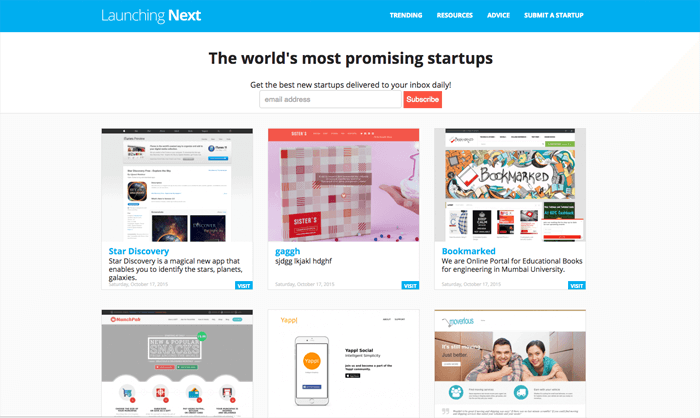 Set up landing pages before you build out your project and gather emails. 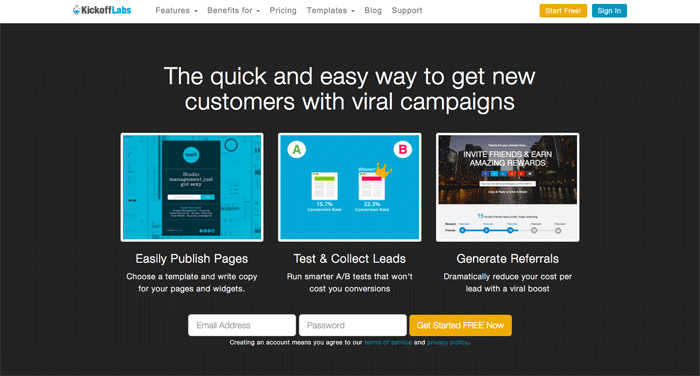 Improve conversion of those landing pages with their A/B testing tools. 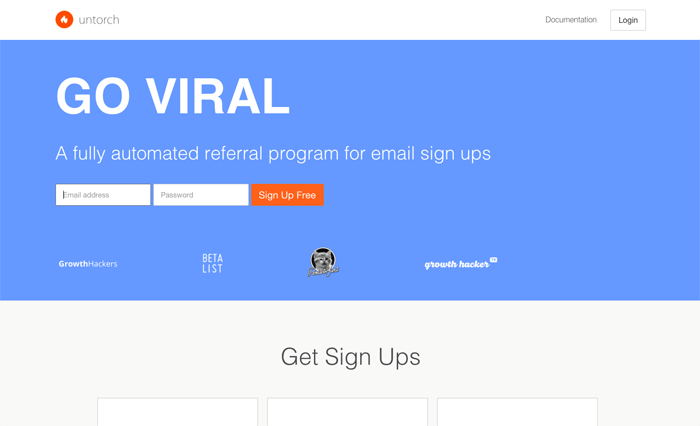 And most importantly, similar to Launch Effect and Untorch, you can have a viral boost set up, encouraging people to share your project on social media in order to get bonuses or early access. Description: Launching Next is a directory of sites that haven't yet launched, via similar to Betapage and BetaList, and also important to list yourself on if you've gotten a landing page up and are working to launch at a later time. 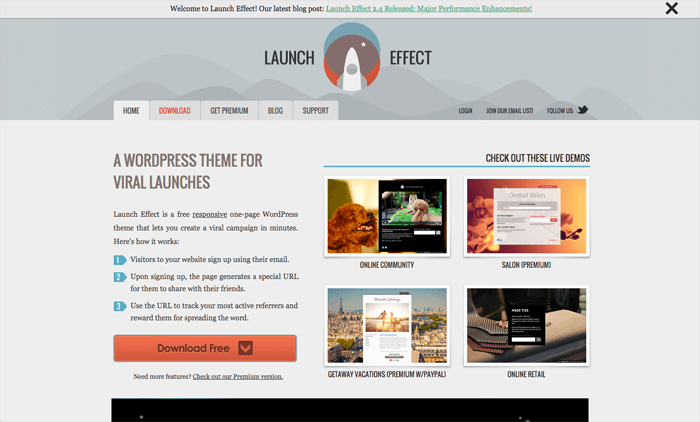 Description: Similar to Untorch, Launch Effect is a collection of Wordpress templates that allow people to join a waiting list then encourage others to join via a special code in order to receive some sort of reward for bringing in other people. This can help your list growth go viral and get huge. Description: Set up Untorch on your site before it launches, and it will allow people to join your waiting list, like a lot of other apps and mailing lists do. But the interesting thing is that it will give people who join a unique code, and if they share that code and get other people to join the waiting list via the code, they can get a reward, like a discount on the product, earlier entry, or something free. This can have a huge effect on your waiting list growing in a rapid and viral manner if the offer and the service is enticing enough. Add Untorch to any type of site, static or dynamic.